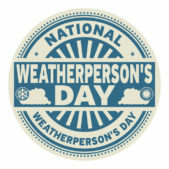 First off its “National Weatherperson’s Day” be sure to give thanks to the best weather team in the Tri-State your 44Weather Team. Cam, Tracy and I. Some of you out there take numerous shots at us throughout the year so this is the day that you can kiss up to us and pay us the compliments we deserve. 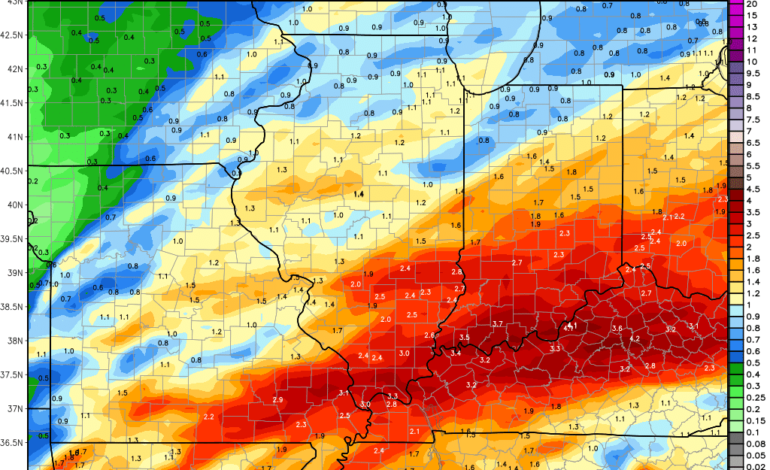 Anyway we have a lot of rain heading to the region over the next 2-3 days. Today will feature gloomy conditions, temperatures will rise to the upper 40s to low to mid 50s with a few scattered showers around. 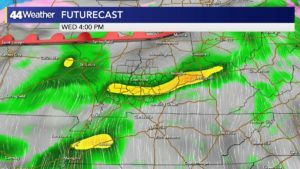 A warm front lifts through the area tonight and temperatures will rise as showers and even a few thunderstorms arrive. 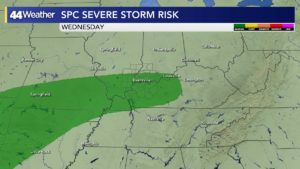 Heavy rains will continue through Thursday as a strong cold front approaches, a few rumbles of thunder are possible Thursday afternoon as well. Winds will gust 35 to 40 MPH out of the south. Temperatures staying warm in the upper 60s to near 70 across southern parts of the area. 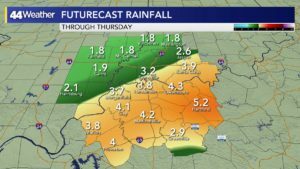 Widespread rainfall totals will be 2-4″ with locally higher amounts possible, so will have to monitor the potential for flooding. 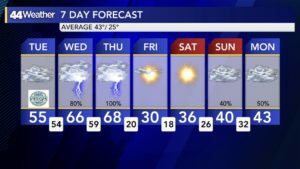 The spring fever unfortunately comes to an end Thursday night – Friday morning as the front comes through temperatures will drop a good 20 to 30 degrees. Friday and the first half of the weekend will be dry, with below average temperatures. 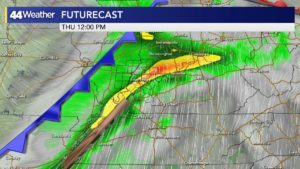 Rain chances move back to the area Sunday – Monday.